The whole day will be spent in the woodlands and park which forms part of the Blenheim Estate. We will be shown round by Paul Orsi, a Chartered Forester and Rural Enterprises Manager at Blenheim Palace. Blenheim Palace is set in 2,100 acres of beautiful parkland landscaped by ‘Capability’ Brown, and surrounded by sweeping lawns, formal gardens and a magnificent lake. 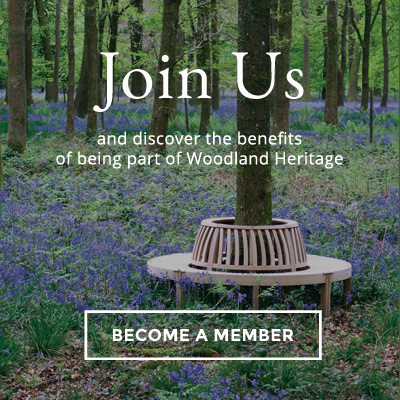 It is a UNESCO World Heritage Site and contains 100 ha of wooded SSSI. It has been owned by successive Dukes of Marlborough since 1730.
plantation species, Cedar, where there is an interesting stand to examine. The whole day will be spent at this private estate in the company of Baron von Maltzahn. Shelswell Park is a traditional country Estate and consists of arable farmland, mature parkland and some 450 acres of woodland. The Estate was bought in 1782 by Gilbert Harrison, an ancestor of the present owners. Much of what exists today is the legacy of the improvements to properties, parkland and woodland that he and his descendants carried out. The woodland is actively managed for fuel grade woodchips for Bio Energy, high quality sawn timber and firewood. Grey squirrel control is taken very seriously. We will be shown some middle-aged plantations including a Sweet Chestnut/Spruce mixture, and Sycamore, Oak and Larch plantations. After lunch, we will visit some older plantations including some very fine Oak and stored Sweet Chestnut coppice. Details have yet to be confirmed, but we hope to visit either Lord Heseltine’s arboretum at Thenford near Banbury, or Oxford University’s arboretum at Nuneham Courtenay, just south of Oxford. Members and their guests will be very welcome.